12 Summer Giant Backyard Games To Play and Outdoor Game Ideas For The Whole Family! 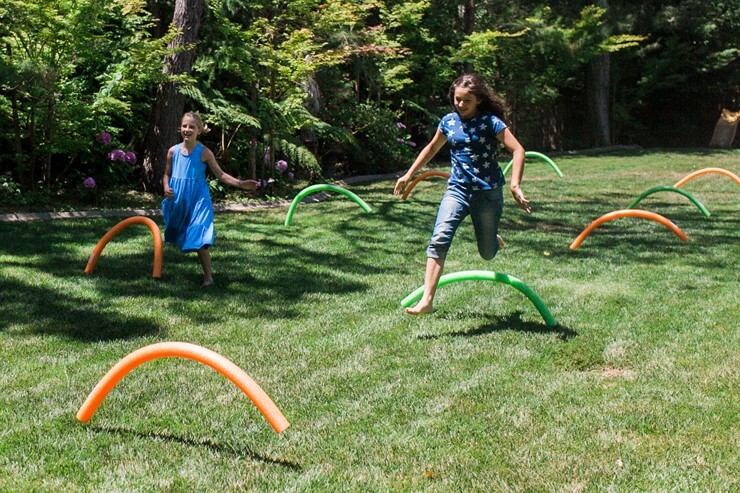 Summer is here, and you will love these giant backyard games to play at home! 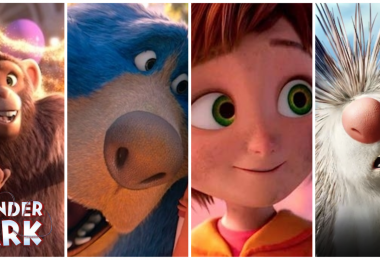 Grab the whole gang and enjoy this list of outdoor games, all of them jumbo sized for maximum fun! 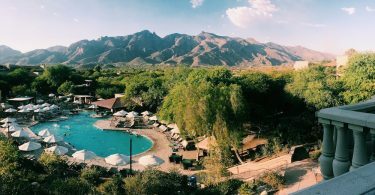 Who’s excited for some summer sunshine?! We sure are, and we are planning to do so many fun things this summer. If you have a nice backyard or lawn and love to play games, these jumbo backyard games are such a hit! 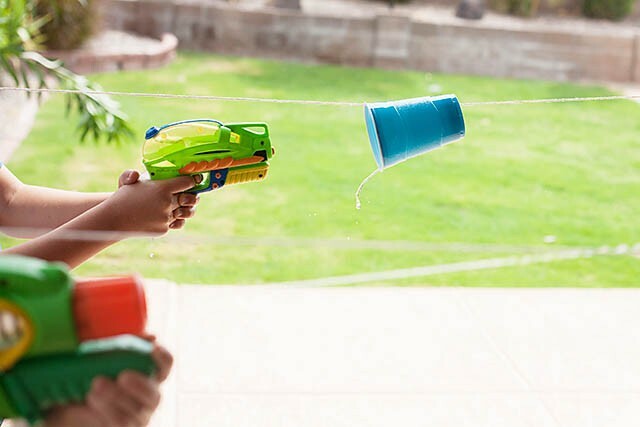 From NERF blasters to human bowling, and even giant Twister, this is a great list of fun easy outdoor games for kids. If you’re looking for outdoor game ideas, these giant games are perfect to play with your friends and family in the yard! 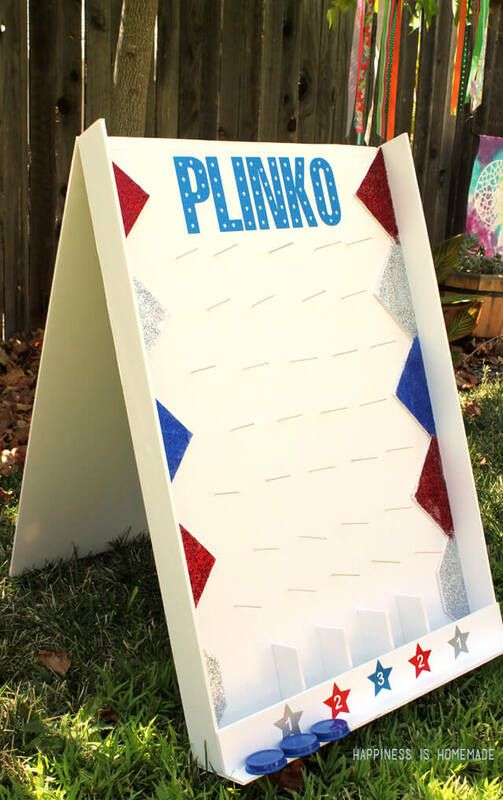 Make this fun plinko game for your next family event, one of the easiest and most fun DIY outdoor games. 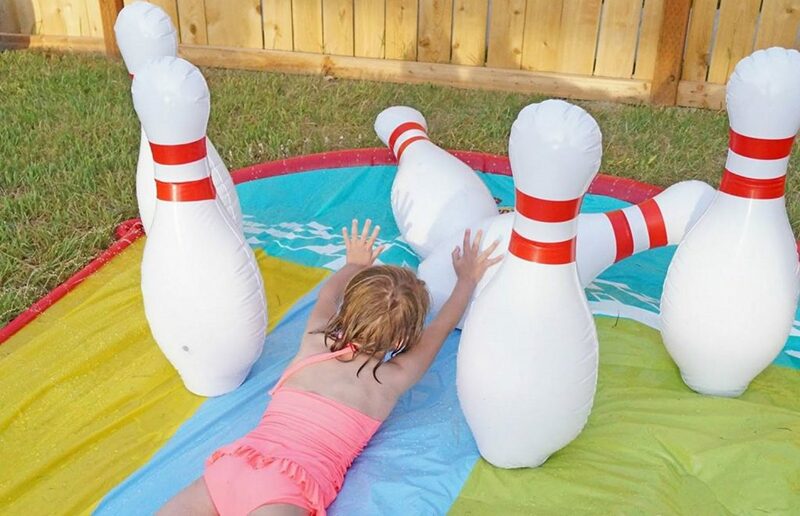 This oversized blow up bowling game is a lot of fun for the whole family. 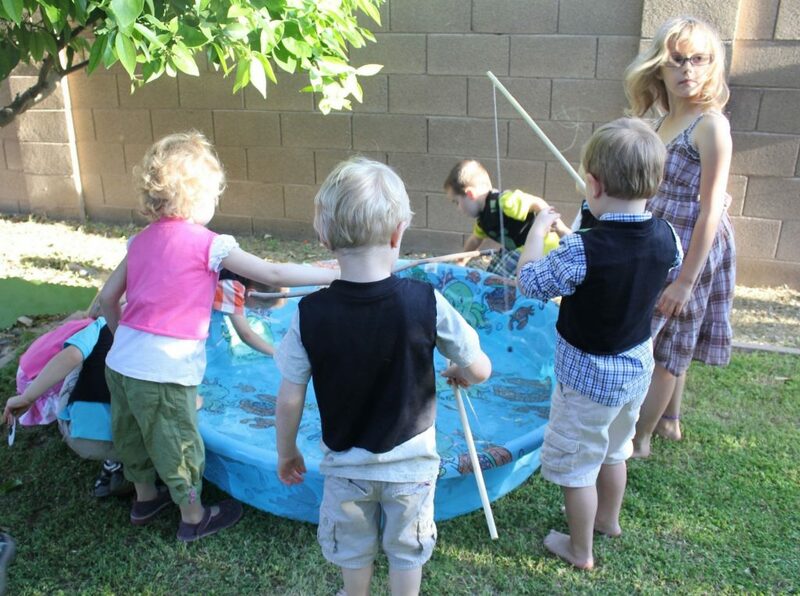 Roll balls at the giant pins, or add water and make it a human outdoor bowling game! 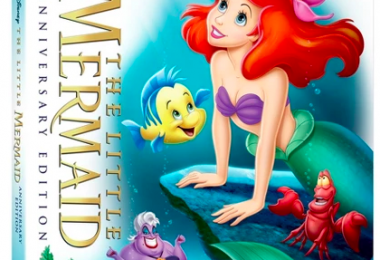 If you are looking for fun easy outdoor games for kids, this one will be a hit. Set up this fun DIY backyard game to see who can get their cup to the finish line first! Can you get 4 in a row? 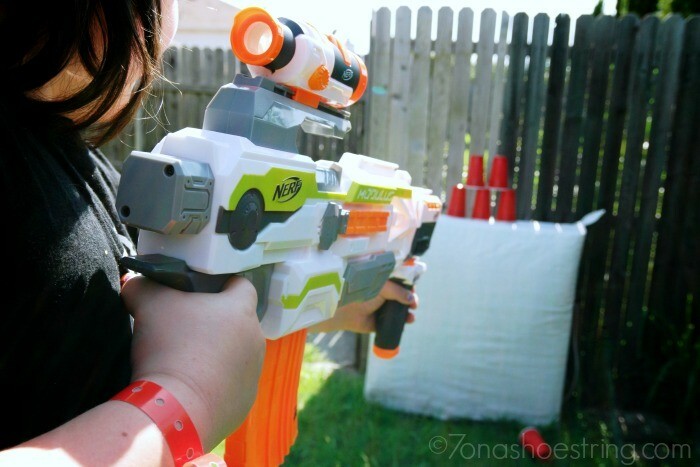 Entertain in the backyard with this fun 4 in a row game! Game measures over 3 feet wide and 32 inches tall and can be setup in seconds. This jumbo yard game can be purchased and set up easily, click the link above. Set up some hula hoops for a game of toss, the one with the most points in the respective hula hoops wins the game! 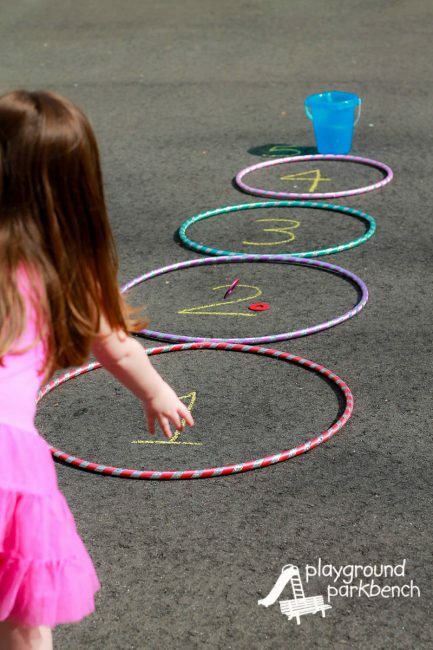 You can also set up a hula hoop hop scotch, great ideas for DIY outdoor games! Spray paint a few circles on your grass to make a fun Twister game. This is one of our favorite fun giant backyard games to play! 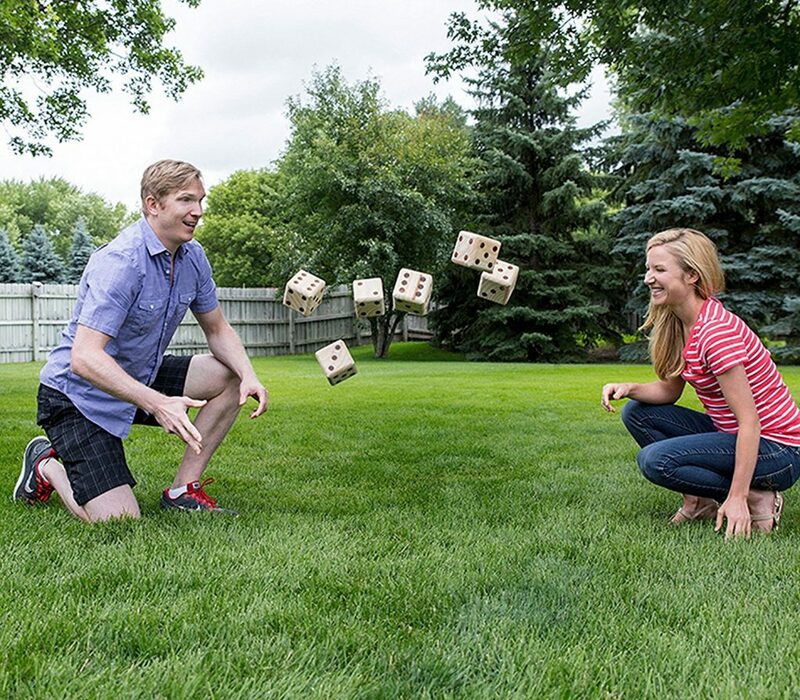 These wooden dice turn your lawn into a full sized Yahtzee game, such fun outdoor game ideas! This set comes with game cards and instructions for more games to play with your giant dice. This jumbo DIY backyard game is pretty popular. Build a wooden platform and cage in some plastic balls for a large version of the popular Ker-plunk game. Hope you found something fun on this list of outdoor games! Spend some time this summer in the backyard with you family. These giant backyard games to play are so much fun, try them all! 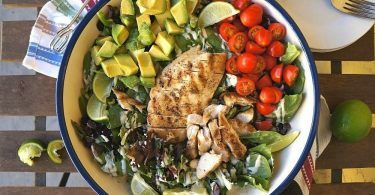 If you will be entertaining in your backyard, check out these summer DIY backyard ideas, the rope swing look so fun! Have a great summer.